Share the post "Australian Beauty – Pincushion Hakea – Facts And Growing Tips"
Scientific name: Hakea laurina R. Br. There are over 140 species within the genus. Some Hakeas have spidery flowers, others have globe shaped, inflorescences, while others look like an elongated spear at the end of the branches. And some have prickly leaves. Hakea laurina is one of the most admired native plants of south-western Australia, and is grown in quantity in Australia and other countries. In Italy and America its uses include street and hedge planting. The specific epithet, derived from the Latin laurus, is given for the resemblance to the leaves of laurel. In the language of flowers, Hakea laurina symbolises nobility and longevity. Hakea laurina has flat, simple and slightly blue green leaves that look a little like a wattle or a gum tree, but with a fabulous flower. Nectar and a slight fragrance is produced from the flowerheads. The flower styles are all in a cluster, and they protrude like spider legs. Pincushion Hakea tends to prefer cooler climates, though there has been some success growing this variety in slightly warmer temperate climates. Hakea laurina is not suitable for regions with high humidity. Though the plant is tolerant of frost, this can cause Pin-cushion Hakea to limit its flowering. Care: full sun to partial shade (though partial shade tends to limit the bushiness and flowering ability of the plant). Soil: well-drained soil (avoid moist soil). Almost any garden soil is suitable as long as it is lime-free. The plant does not like phosphorus fertilizer, and like most Australian plants, it prefers to be well mulched so that its specialized roots can extract nutrients from the mulch layer. Propagation: in summer, root semi-ripe cuttings with bottom heat, but the pplant is better propagated from seeds. Pincushion Hakea seeds can be sown into a pot or a little tray of well drained seed propagating material. Cover them in vermiculite, keep them moist and they will germinate in 2-3 months, depending on the temperature. Then transplant your plants and enjoy their beauty. Staking is advisable, as plants are weakly rooted and do not hold well in all soils or in exposed positions. At about 1.5 m high a well-grown specimen is heavy and may lean badly. Bloom time: early fall to winter. Uses: Beds and borders, hedge, screening (ornament and shading in public streets, wildlife habitat, windbreaks, and control of soil erosion). Through the fall and into winter, pincushion hakea provides beautiful cut flowers for the holidays; the foliage and seedpods are also great for arrangements. You can prune it into a bushy shape or a slender, small tree. If you’re in Melbourne and want to see a great collection of Hakeas, visit the Maranoa Gardens in Balwyn. They have a fine display garden of these fabulous plants. 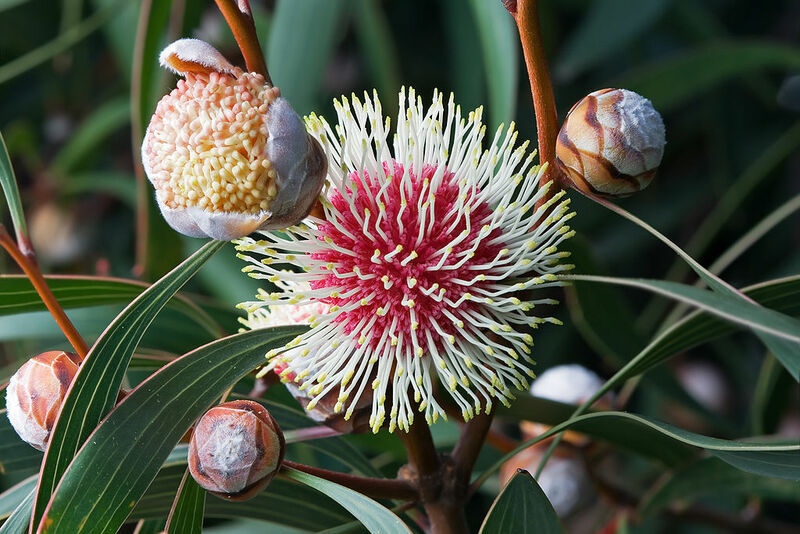 Do you grow Pincushion Hakea in your garden? What is your experience with this plant? Please share in the comments below! 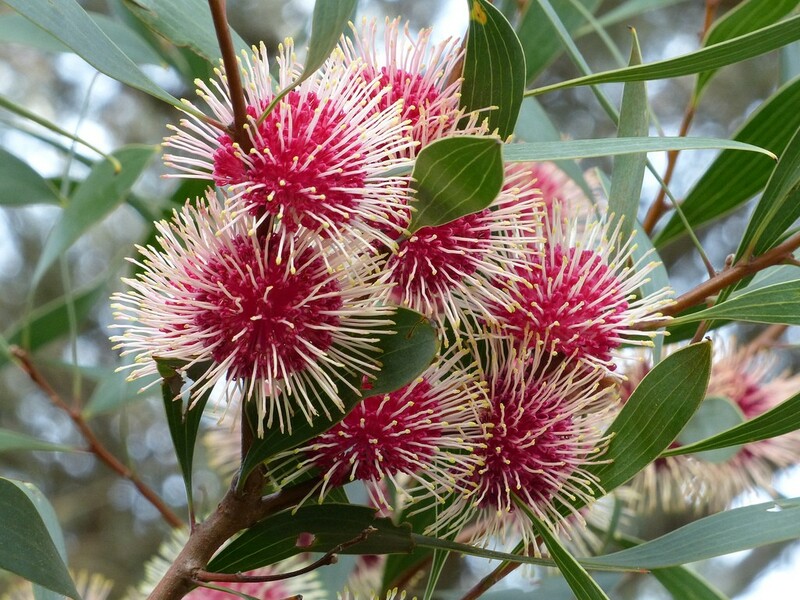 Do you sell Pincushion Hakea seeds or have plants for sale? You can place your advertisement here. Contact us now!